In Part 1 of this video, I discussed how the OVDP will be gone as of September 28th 2018. The IRS said that now the Streamlined Procedure will remain in place, but suggests that it too could be going away. Of course the Streamlined Procedure is only open to those taxpayers who can state under the penalties of perjury that their non-compliance was not willful. This is a higher bar than many believe. If you'd like more information about the Streamlined Procedure please download our Special Report entitled Nine Questions You Should Be Asking About the IRS Streamlined Filing Compliance Procedure for Unreported Foreign Accounts. The IRS has also stated that the Delinquent FBAR procedures, and the Delinquent International Information Return Procedure will remain available. Remember though that these programs are open only to those taxpayers who have no other tax non-compliance, that is, income has been reported and taxes paid. 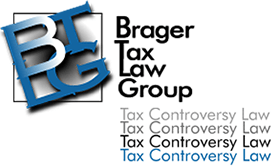 Even after September 28th, it will still be possible to make a voluntary disclosure to IRS Criminal Investigation to limit exposure to criminal tax penalties. Let's be clear. When I say criminal tax penalties, I am talking about jail time. The IRS has promised to post new procedures as to how to make a voluntary disclosure after September 28th. Keep in mind that although the voluntary disclosure process will generally provide protection against criminal prosecution there may still be very significant civil penalties imposed, including a 50% FBAR penalty and a 75% civil fraud penalty.